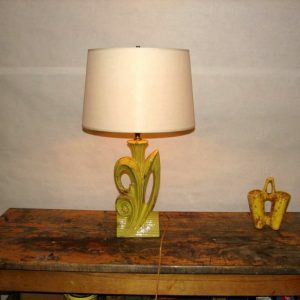 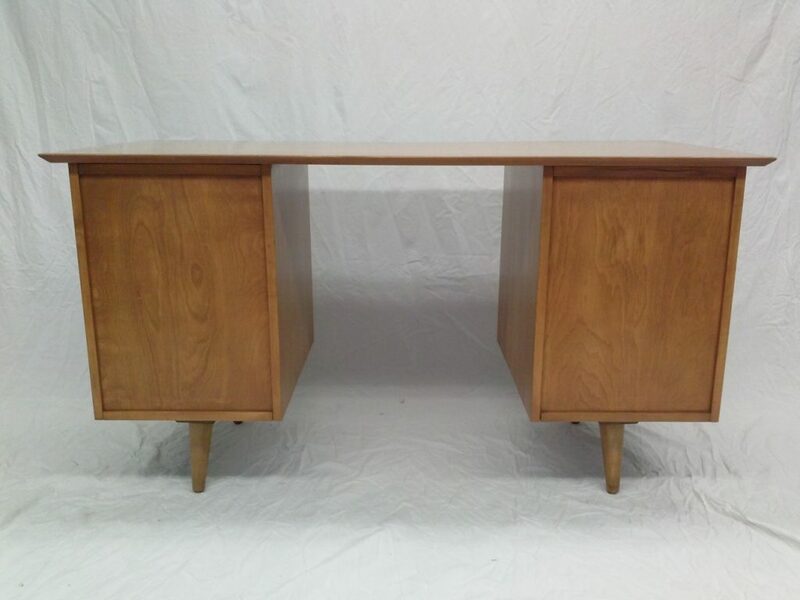 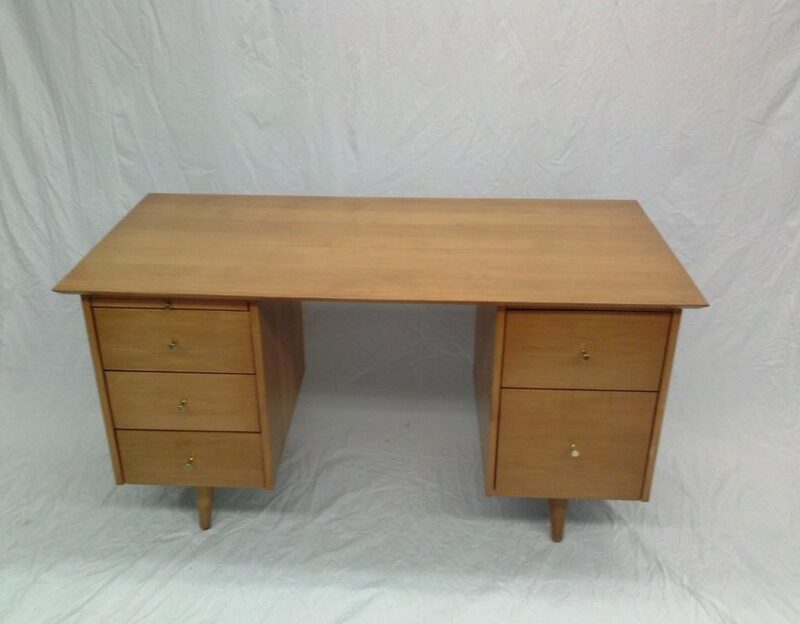 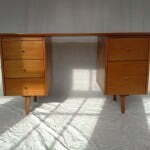 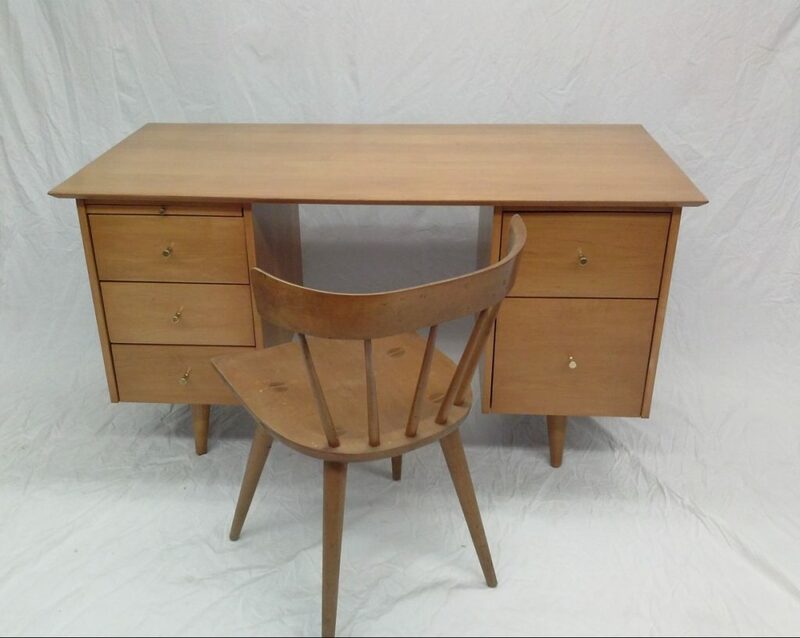 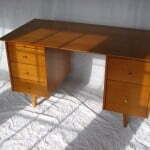 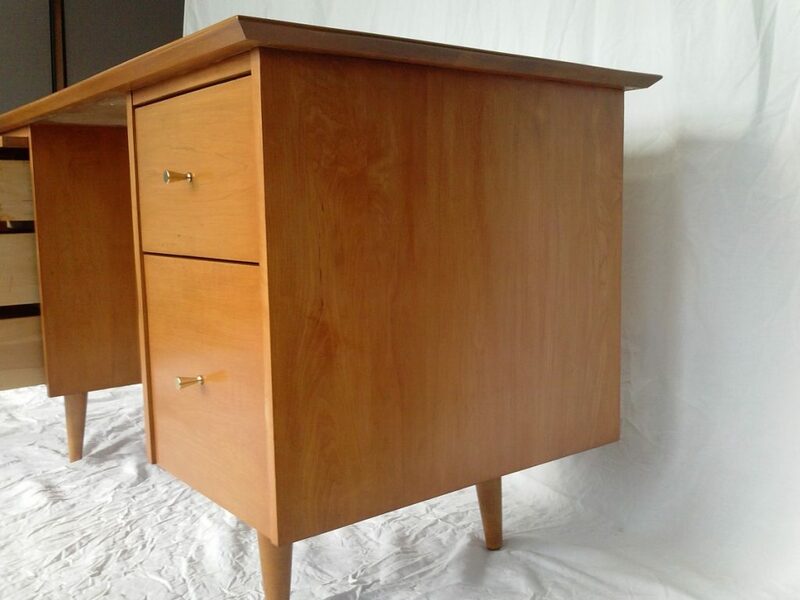 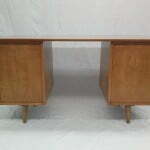 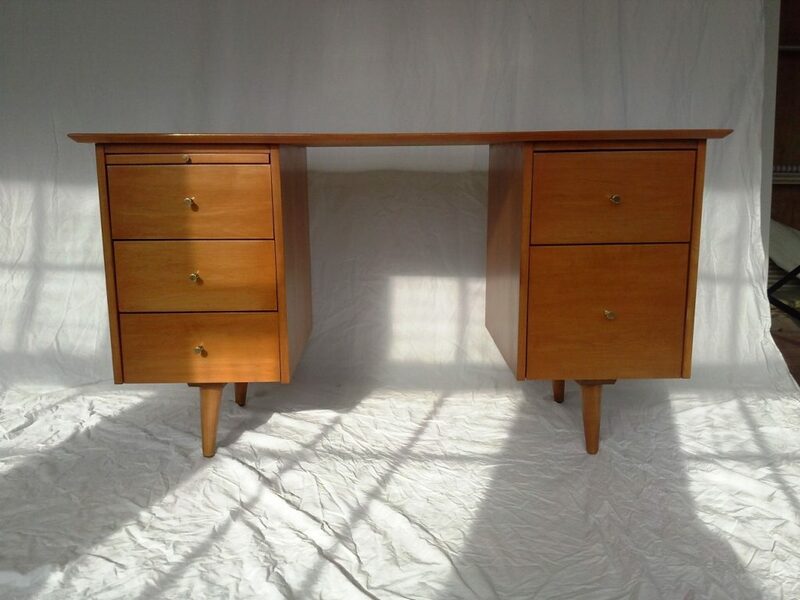 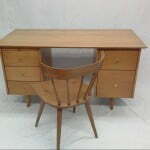 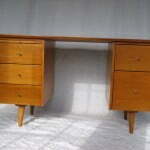 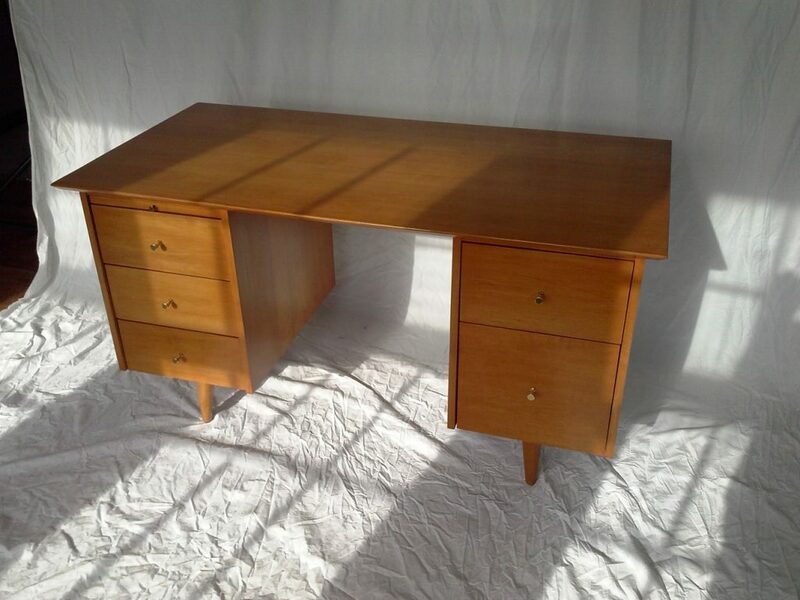 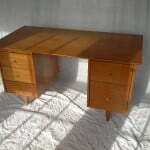 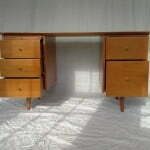 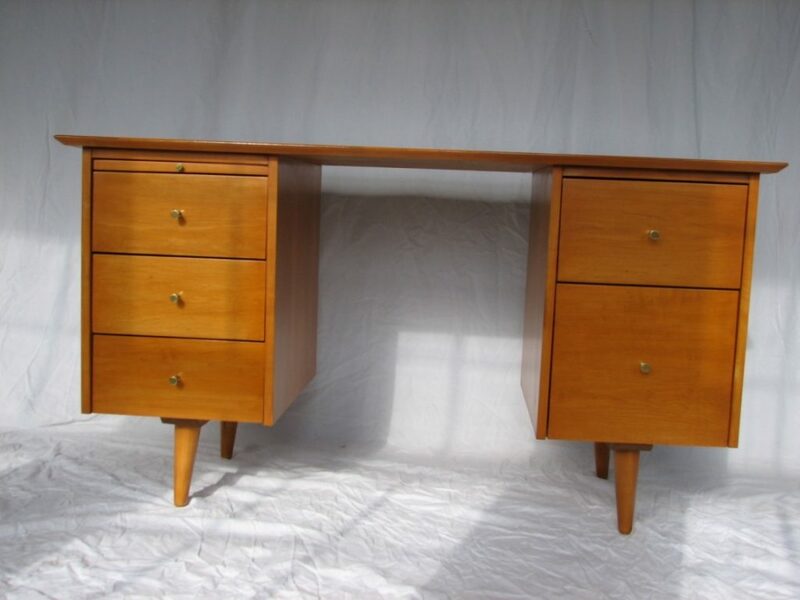 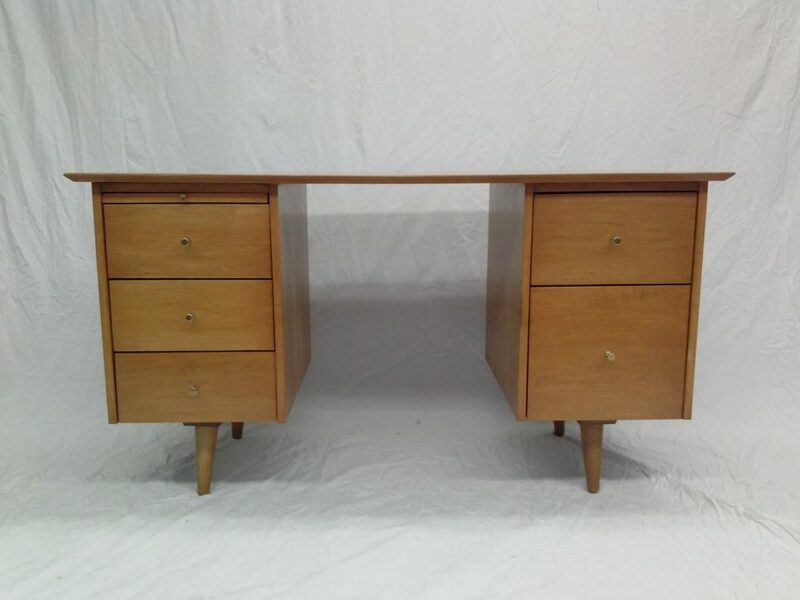 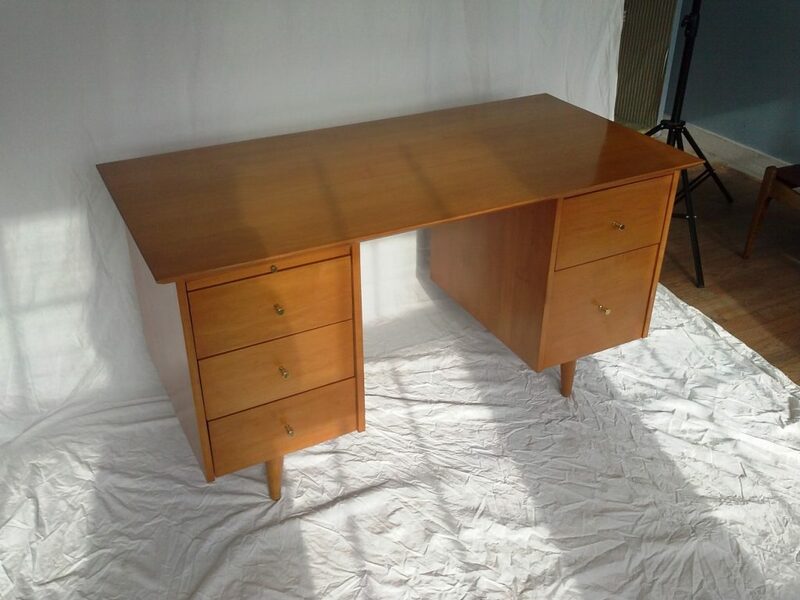 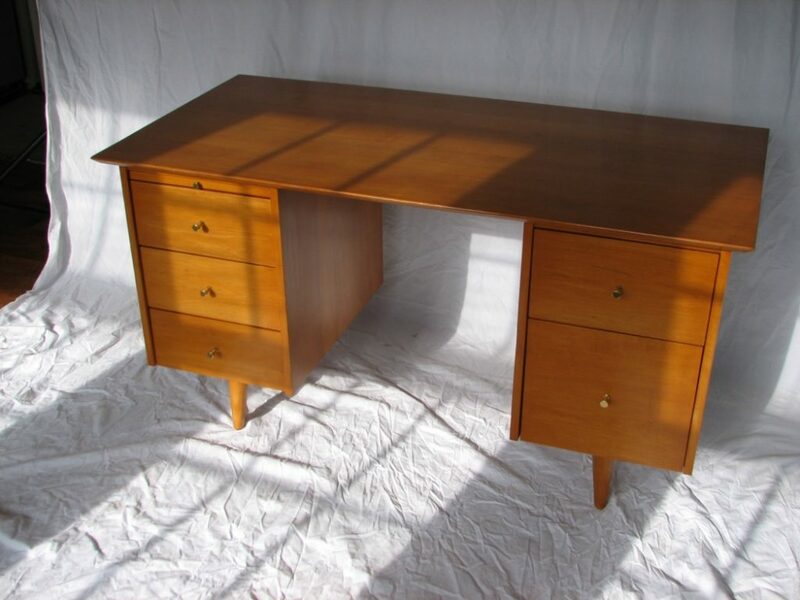 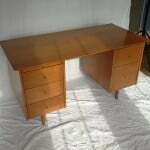 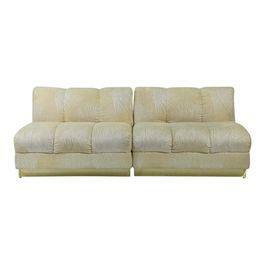 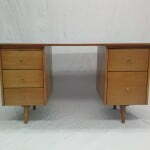 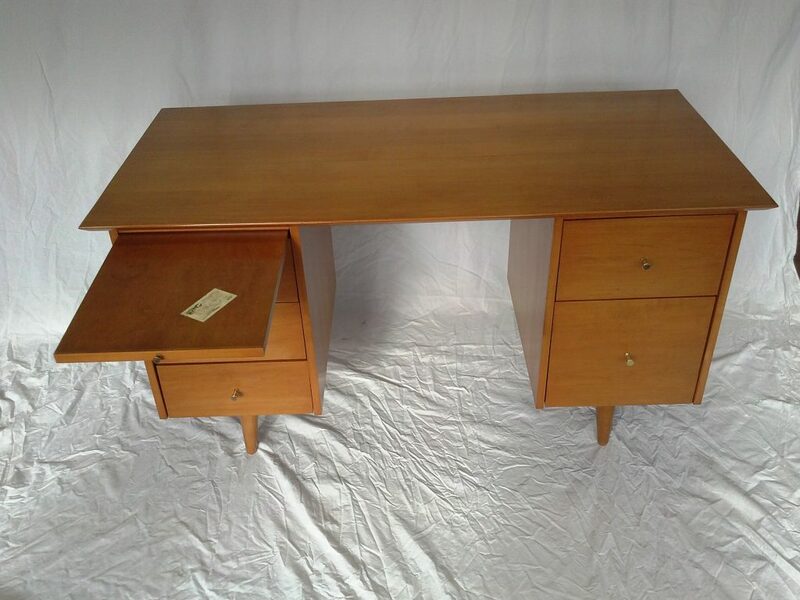 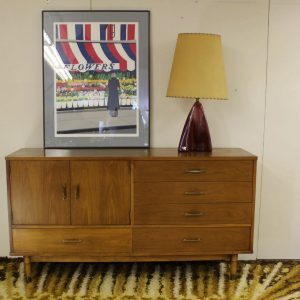 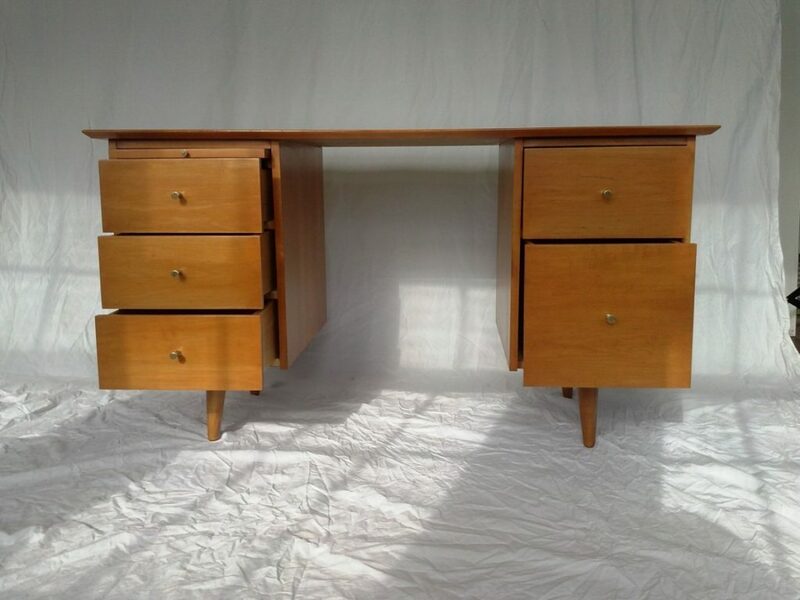 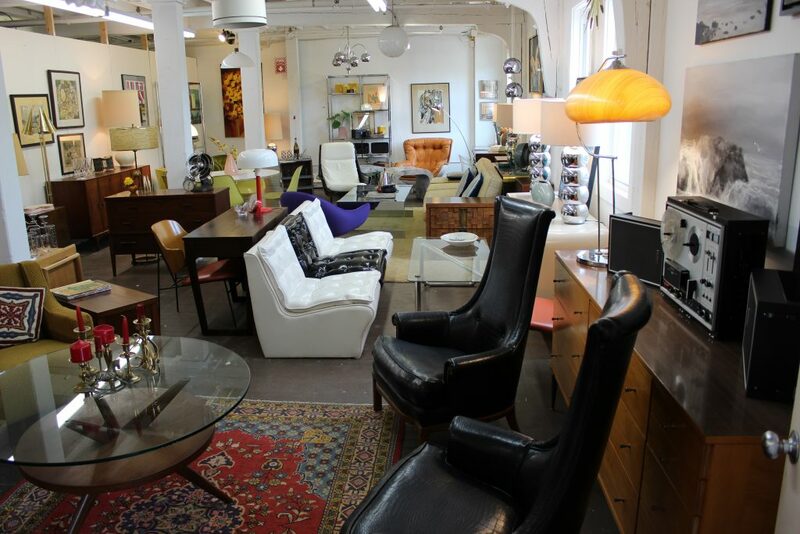 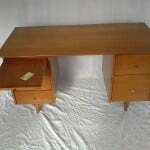 This is a wonderful double pedestal Paul McCobb desk. 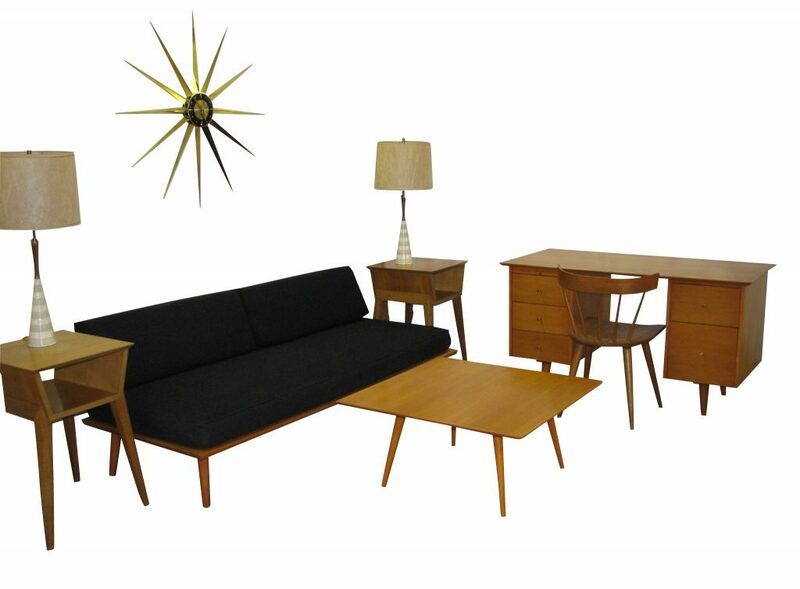 Designed by Paul McCobb for Winchendon, as part of the Planner Group. 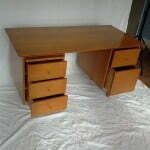 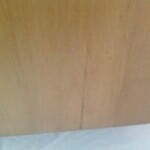 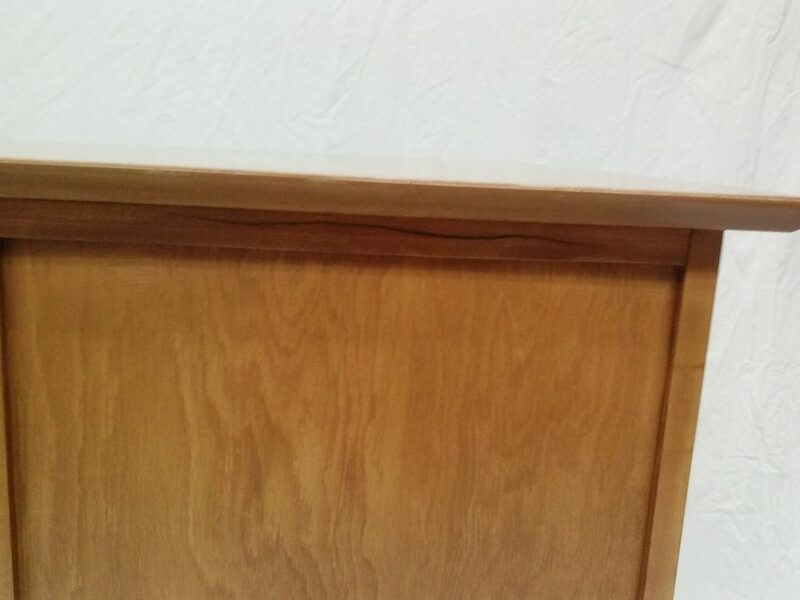 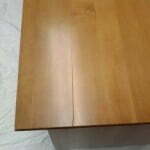 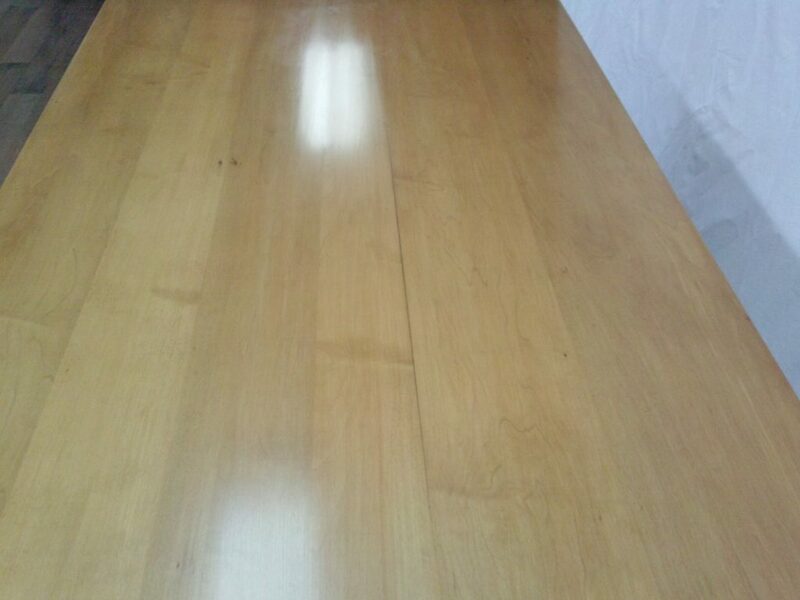 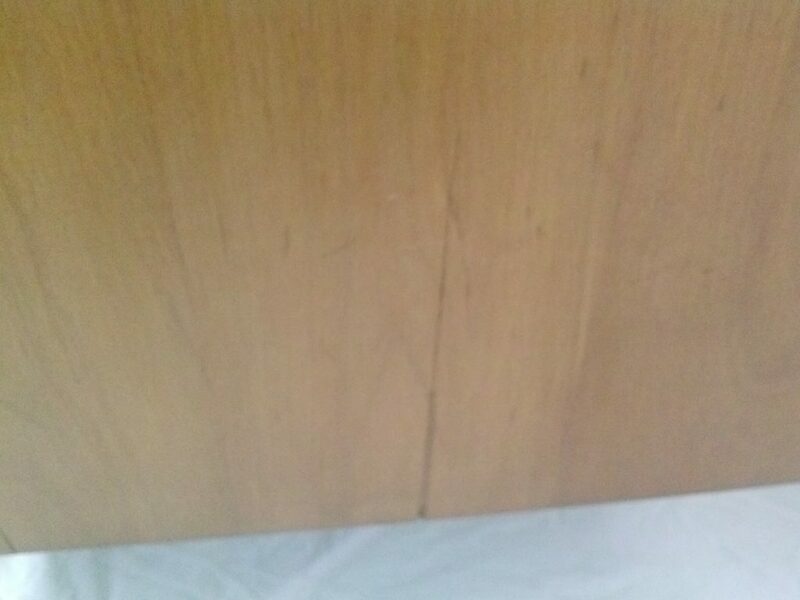 The desk is in excellent solid condition. 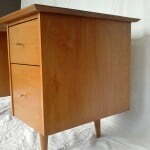 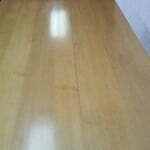 It has been refinished but it has a stain on the top. 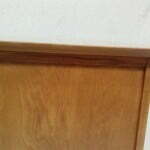 There are some separation parts on some of the boards, this piece has a lot of life in it and it will be happy to be part of your collection. 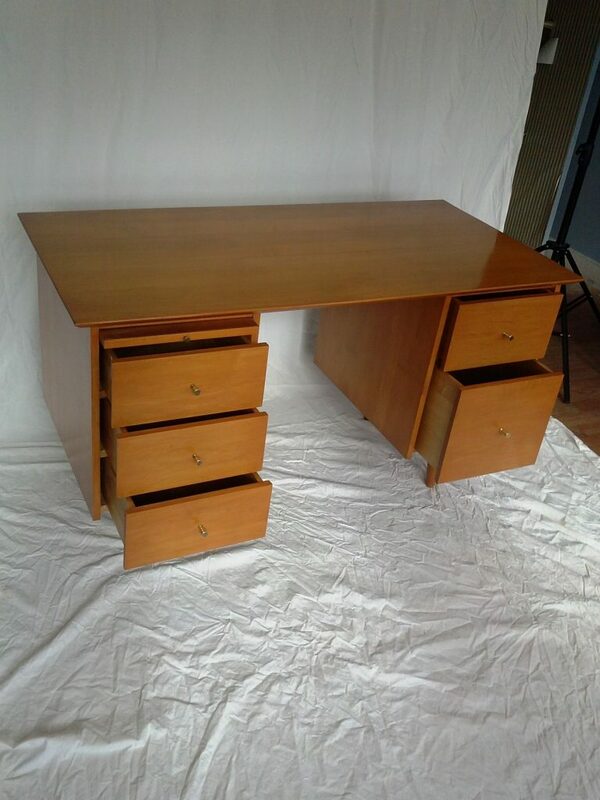 It measures 29″ H X 53″ W X 23.25″ D. It has 5 drawers, a pull out typewriter/laptop stand. 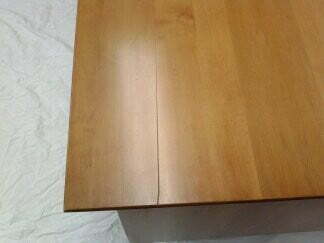 The back is veneered with maple. 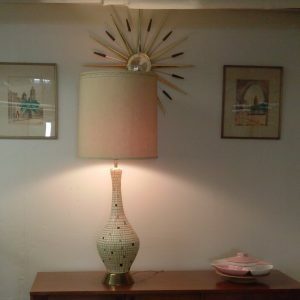 Don’t miss this beauty. 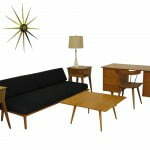 Available curbside shipping to the lower 48 states. 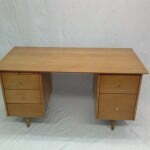 Simply send us an email!